Hello everyone, and welcome to a special edition of Screenshot Saturday! 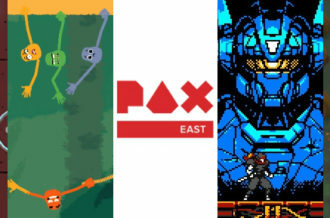 As mentioned last week, for the next two editions we will be forgoing our usual format in favor of covering both GDC 2019 and PAX West 2019, much like we did last year with Gamescom and PAX West! That means instead of the standard regular tweets from this weekend that use the #screenshotsaturday hashtag, now it’s anything goes, any tweets for the chosen games! First comes GDC, have just wrapped up recently. 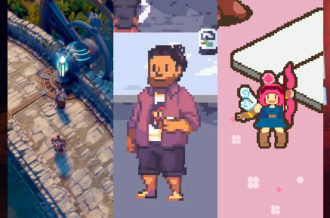 It was quite the eventful conference, and we’ve chosen fifteen of the most interesting games from it for you to check out! It isn’t comprehensive, mind you – some of our writers are still recovering from the exhausting endeavor, and couldn’t contribute with their own picks (yet) – but hopefully you find something in this crop worthy of your time! I do apologize for the “patchwork” sort of feel created by this format and the older tweets and whatnot. I feel like I should do something better, something different. Which I may have to do, since I’ll be at PAX East next weekend, and somehow has to do this feature from there…hmmm…ideas are brewing, rules may be bent even further…hmm? Oh, I’m still rambling on? 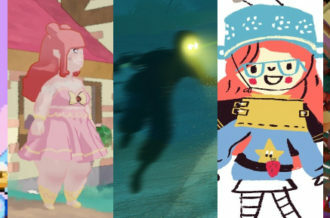 Uh, okay, never mind that for now, let’s leap into some of GDC 2019’s best! Barotrauma- So basically, imagine up to sixteen players, all crammed together in a submarine, exploring Subnautica-style alien waters…and then they encounter something like THIS. Chaos ensues, along with entertainment (mostly chaos, but still). So damn promising, to say the least. Black Future ’88- Well, presumably because developer SuperScarySnakes was busy at the actual show, publisher Good Shepherd is apparently stepping in for Black Future ’88 this Screenshot Saturday after GDC. They chose to focus on the crazed weapons you can have in this roguelike action-platformer, and unsurprisingly, I am still sold on it. Crystar- Yes, this might be a bit outside of our usual Screenshot Saturday fare, but 1. 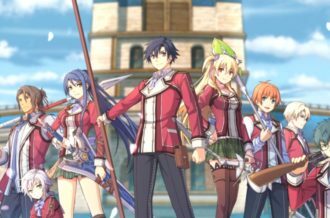 A RPG that looks this impressive cannot go ignored, and 2. Out of all of the games they played at GDC, this was the one our own Chris Shive was the most interested in. And yeah, a battle through purgatory to save your sister that involves crying to purify equipment and armor? Consider me interested as well. Dicey Dungeons- I think I’m going to need a refresher on the game before a tackle a pop quiz such as this. But I’ll gladly go through as many stumpers as you’d like if it means getting more time with this clever roguelike dungeon crawler featuring unique dice-based gameplay, yes indeed. We’re finally able to announce that the heartwarming #PlayStationVR tale #GhostGiant by @ZoinkGames is scheduled for digital release on April 16th 😍 The physical version will be available from April 19th! Ghost Giant- Having an invisible giant friend clearly has its perks, such as allowing them to just move the weather around to your benefit! And playing as the giant, you get a cute friend in return and an amazing world to explore. It may easily end up being one of this year’s VR games if its cards are played right, so here’s hoping Sony doesn’t ignore what they have here as well. Meet Hell is Other Demons, a fast-paced bullet hell shooter by @kebabskal and published by Kongregate coming to PC and Switch! Hell is Other Demons- There’s a bit of a PC gaming platform turf war underway, with a heavy focus on curation in order to make a proper grab for the ball dropped by Steam. 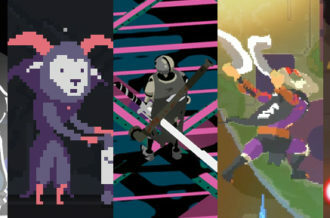 Kartridge tends to be overlooked, but a few timed exclusives could give it a slight edge…and an action-packed, arcade-style, bullet hell platformer soaked with neon may very very well do the trick, oh yes. Inmost- Your average atmospheric platformer tends to be crammed full of various horrors in several areas, meaning one should savor the more calming, human bits whenever they can. A cup of tea is a nice place to start, although one may say that even then, the scenery is still rather creepy. I say it’s gorgeous myself, and just surreal and twisted enough, with the right touch of calm. But to each their own. Last Oasis- Sure, MMO survival games have been a dime a dozen for a while now…but dammit, I’m a sucker for a clever hook, and using giant wooden machines on nomadic journeys to outrace extreme post-apocalyptic weather conditions is too good a hook to resist. And the game does look damn good indeed. Mutazione- Certainly one of the most visually stunning games at GDC, this cross between a graphic adventure game and a soap opera certainly deserves to stand out quite a bit more. I mean, it’s not every day that you get to explore a resort town full of mutated inhabitants, gossip with them, and learn their various secrets. Definitely some eye-catching stuff here on several levels. Today on my birthday, I have a gift for you all. Explore the birth of sapient AI and..
Super fast-paced rogue-platformer. ⚔💥@KissaKolme & @DearVillagers are joining the team! Let's rock! ScourgeBringer-…And the other being a quick and gorgeous rougelike 2D action-platformer about exploring an Eldritch monolith with lightning-fast combat, both of which look insanely fun. Both may have been shown behind closed doors for now, but they easily made one of the biggest impacts in my book. Can’t wait to see more from this duo, along with any other game Dear Villagers picks up that joins them. 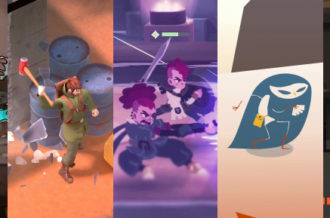 Stela- In between working on the likes of Halo Infinite, Skybox Labs are also working on their own original project, another atmospheric platformer about witnessing the end of a world. As the trailer shows, it looks like quite the interesting world…but also one with quite a few notable hazards, per the genre. Void Bastards- I do feel we deserve more FPS games with presentations that deliver a true comic book-inspired feel. After all, as seen here, the mix of cel-shading, sound effects, and sci-fi weaponry just makes for quite the appealing package. Truly, the journey of dozens of space criminals is worth it just for these moments alone. The Wild at Heart- It says a lot about how damn gorgeous your Pikmin-esque adventure looks when even the the supposedly gross giant toad creatures manage to look quite adorable. Still can’t wait to see more of this incredibly lush, amazing world, especially upon hearing that the gameplay also has elements reminiscent of Ghostbusters as well, which only enhances that feeling of childlike wonder on display here.